Theatre District Residence is a pair of towers designed by Quadrangle for Plaza at Adelaide and Widmer streets in Toronto's busy Entertainment District. The 49-storey south tower will be all condos. 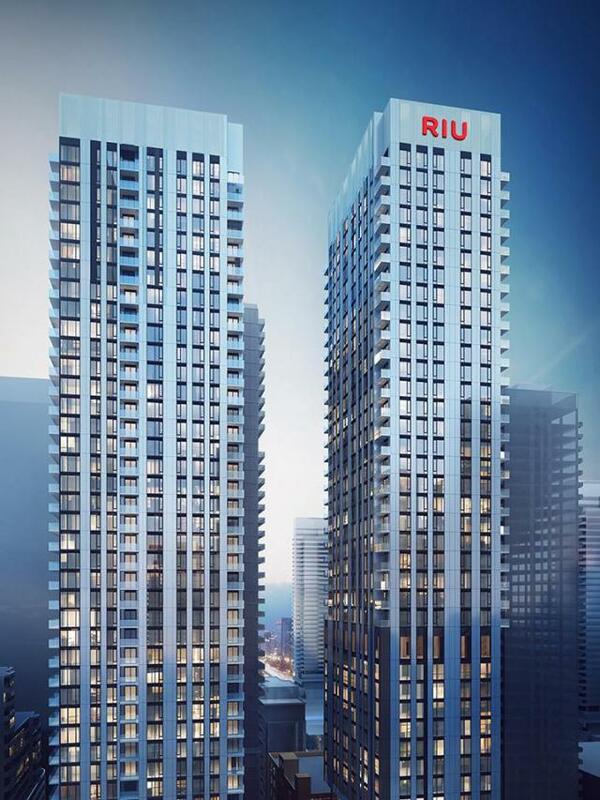 The 48-storey north tower will include a 353-suite Riu Plaza hotel occupying the bottom 28 storeys of the building, while the upper portion of the tower will house 131 condos. Both towers will rise to 156 metres (512 ft), sitting atop 10-storey podiums.